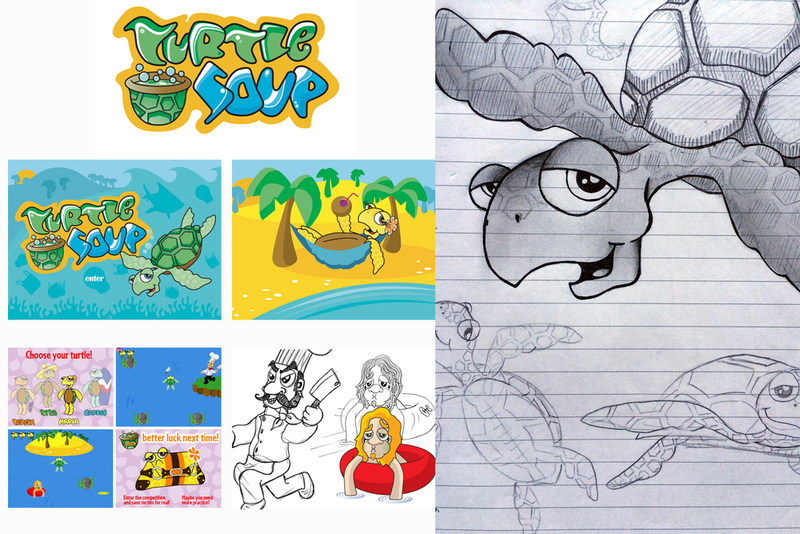 Turtlesoup - an interactive, Flash based game to promote the protection of the giant turtles of Costa Rica, at the same time raising awareness of their plight. i-to-i developed a free-standing micro-site to support this campaign and ran a competition in tandem. I was assigned with full scope illustration for the project, from initial conceptual work to final vector based illustrations, workable within the Flash environment. I also developed the visuals for the micro-site. As this project was promotional and developed in 2005 there is unfortunately no current reference to it online.